In North Dakota, all training for the early childhood workforce must be approved by the Growing Futures Registry prior to delivery in order to be accepted for child care license renewal or applied to placement on the Growing Futures Career Pathways. Training is approved in two levels to allow individual to select the type of training that best matches their career goals. Registered training is approved for annual license renewal only. It does not apply toward Career Pathways placement, CDA credentialing, or participation in Bright & Early. Typically, training offered by associations, the Food Programs, and Extension will meet the criteria for registered training, as will most conferences designed for the early childhood workforce. This level of training is short, disconnected, and not part of a focused program of professional preparation. Registered training must be presented by a trainer with professional expertise in the topic area. Registered training is approved on a one-time basis, and the trainer is also approved on a one-time basis as part of the training approval process. Career Pathways training is designed for career preparation and advancement. It applies to annual license renewal as well as to Career Pathways placement, CDA credentialing, and Bright & Early participation. Career Pathways training must be presented by a trainer who has been pre-approved to deliver this level of training. Career Pathways training is structured, connected, and part of a progressive, focused program of professional preparation intended to build knowledge and skill. Once a Career Pathways course has been approved, training events of the course can be scheduled repeatedly without the course content being submitted each time for approval. All Growing Futures approved training must support the ND Core Competencies for Early Education and Care Practitioners (PDF), and focus on the early childhood period and the care of children in out-of-home care and education settings. Training must also follow the criteria outlined in the Trainer and Training Approval Guidebook, as well as the Trainer Agreement and Ethical Standards and Growing Futures Policies and Procedures. Requests for training approval can only be submitted by approved training organizations or approved trainers. 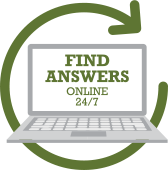 Find training to meet licensing requirements and for career advancement on the statewide online calendar of all approved training currently available. You can search by county or region, training level, Competency Area, and more. Become an approved trainer or training organization and be able to submit training for approval.